Enter Employee Timesheet > Create + sign > Employees > Single Time Activity and Weekly Timesheet. This is where to fill in a weekly timesheet or a single time activity. From here, you can also run payroll and add employee. 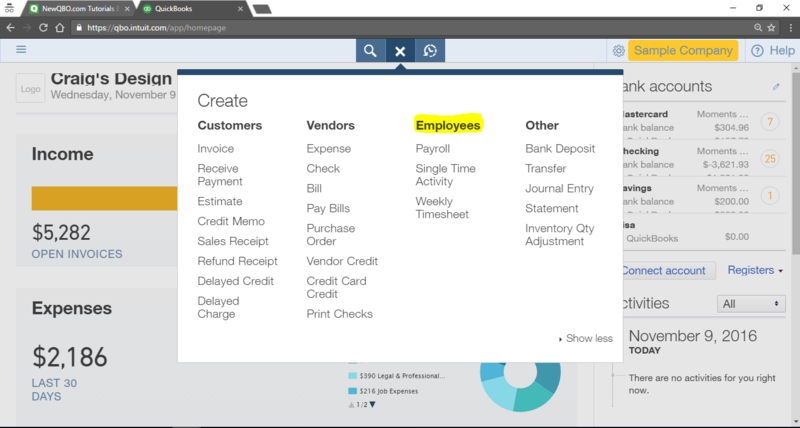 Handle Employee Payroll matters > Left Navigation Bar > Employees Center. 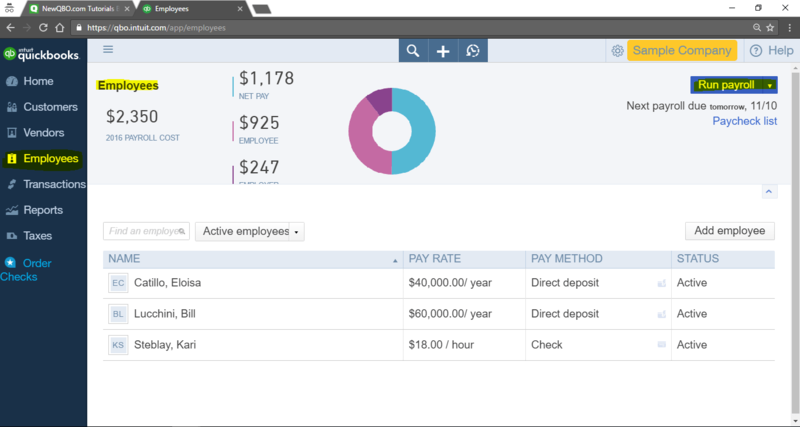 There is where to turn payroll on, run payroll, add employee information like pay, profile, and employment. 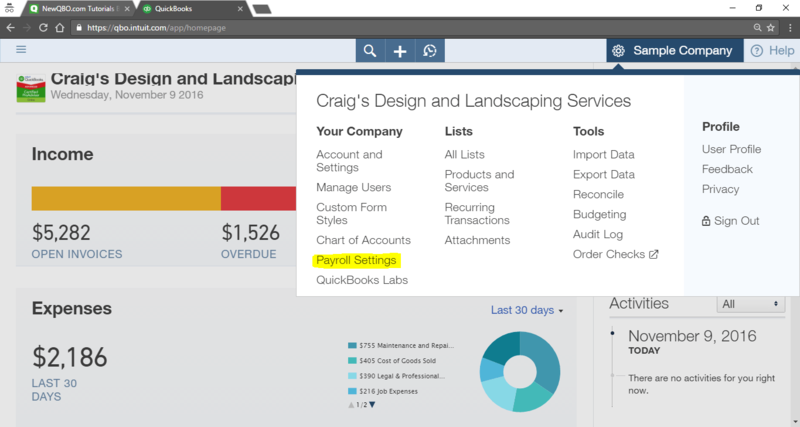 Employee Payroll Preferences > Gear at the upper right corner > Payroll Settings. This is where to setup: Electronic Services, Pay Policies, Tax Setup, Deductions. Preferences and Class Tracking.